The United States is usually the biggest market for any industry. This is also the case with QR Codes. But, how many people can actually scan a QR Code? This was way back in 2012. Since then things have changed. 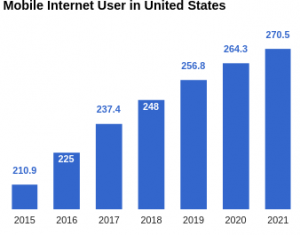 Smartphone penetration in the US has almost doubled between 2012-2016. As data suggests, this penetration is expected to increase to 78.75% by 2021. This increase in smartphone and mobile internet penetration is pushing print marketers to use technologies such as QR Codes to engage the new tech-savvy audience. As per the Global consumer survey, Statistia, the US households with users who scanned QR Codes on smartphone was 9.76 million in 2018. It is expected to touch the 11 million mark by 2020. Also Read: Do people really use QR Codes? The answer will surprise you. So marketers are becoming transparent and sharing information with their customers. But, this becomes difficult with print media due to limited space. This is where QR Codes become relevant. QR Codes bridge the gap between print media and online content allowing marketers to further engage with their target audience. In Nov 2016, the then president, Barack Obama, signed a federal law that requires food manufacturers to share Genetically Modified (GM) ingredients via a label, a QR Code, or a toll-free phone number. These QR Codes would lead customers to detailed Genetically Modified Organisms (GMO) disclaimers. 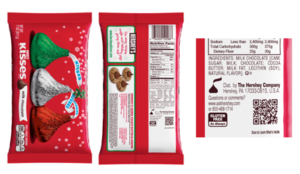 In late 2015, US food, beverage, and consumer companies initiated the launch of SmartLabel QR Codes. This allowed transparency between manufacturers and consumers. Users could scan the QR Code to view nutrition, ingredients, allergens and other information such as certifications of the product. 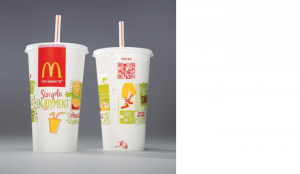 In 2013, fast food chain McDonald’s added QR Codes to their packaging in the US. From carry-out bags to drinking cups, all featured a QR Code. When scanned, the QR Code displayed nutritional information of the purchased food item. 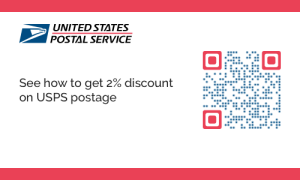 In 2016, the United States Postal Service (USPS) held a mobile shopping promotion campaign. Mailers could avail discounts by adding QR Codes to standard mail. This included large envelopes, newsletters, and magazines. Scanning the QR Codes allowed users to make purchases online and avail discounts. By 2018, the number of households that obtained coupon via QR Code in the US reached 3.27 million. It is expected to touch the 3.45 million mark by 2020 as per the Global Consumer Survey, Statistia. 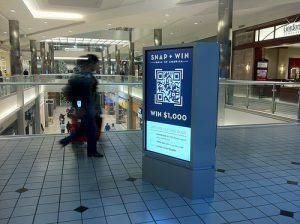 In Dec 2012, Mall of America, Bloomington, Minnesota put up QR Code ads in specific areas of the mall. When scanned, the QR Code redirected shoppers to a web page. On this web page, Here users could stand a chance to win a shopper’s card worth USD 1,000. Besides the offer, the web page also showed the mall’s timings and other offers. In 2011, Victoria’s Secret (VS) launched a QR Code campaign titled “Sexier than Skin”. The campaign gained quite a few eyeballs for being quirky and creative. The ads featured QR Codes on VS’ fashion models and encouraged viewers to scan the code to reveal the model’s secret. The secret being, the VS’ latest collection. Retail contributes to an estimated two-thirds of the US gross domestic product (GDP). For an industry this big, it is important to be well aware of trends to keep their audience engaged. QR Codes in retail have made customer engagement easier. 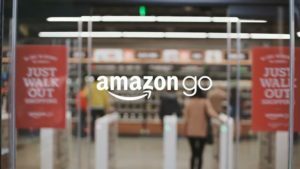 Launched in 2016, Amazon Go is the first-ever walk-in-walk-out convenience store. The store located in Seattle, Washington allows shoppers to enter the store by scanning a QR Code. The store uses the Just-walk-out technology. This deducts the amount of the purchase from the customer’s Amazon wallet. 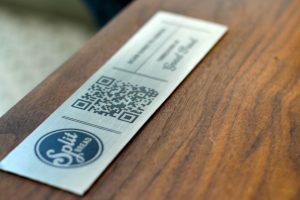 Split Bread restaurant, San Francisco has a QR Code placed on each table. Guests can scan the QR Code to view the menu and place their order. Besides this, guests can also make payments for their meal via this QR Code. Statistics from 2016 show that 86% of American adults use at least one social media platform. Social media is one of the fastest growing medium for businesses to engage with their target audience. The addition of QR Codes has only made it easier. In Nov 2016, Twitter launched ‘Twitter QR Codes’. 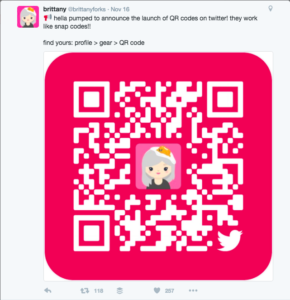 Users could generate a unique QR Code for their profile via the Twitter app on their smartphone. Scanning the QR Code of a fellow Twitter user allowed users to follow them. Read more here: Twitter QR Code: New way to follow people on Twitter. 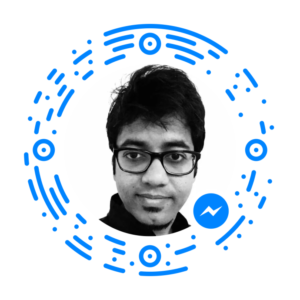 In April 2016, Facebook added customized QR Codes to the Messenger app. 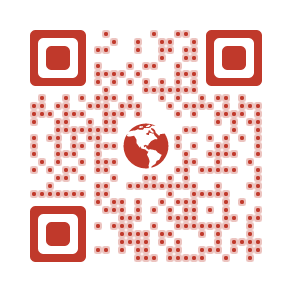 Each user could create a unique QR Code for their profile. Users could add friends to their Messenger list by scanning the QR Code on the Messenger app. Also Read: Facebook Messenger Code: Now scan to start chatting. In 2015, Snapchat launched Snapcodes (also known as Snaptags). Snapcodes are nothing but customized QR Codes. 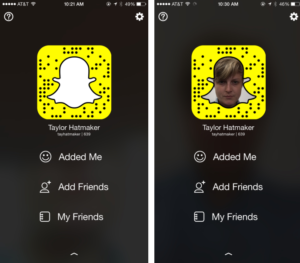 Scanning the Snapcodes allowed users to add friends on Snapchat. When developed, The QR Code reader on Snapchat could only read Snapcodes. In 2016, SnapChat added an inbuilt QR Code reader that can read standard QR Codes as well. Also Read: Create a Snapchat QR Code GIF to get more followers. Teaching methods have evolved over the years. Projectors have taken the place of blackboards. Students use laptops and smartphones to take down notes. With changing times, how can teachers make classes more interactive? The answer is QR Codes. In early 2017, Martin Luther King Jr. 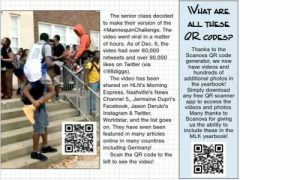 Magnet school in Nashville, Tennessee added QR Codes to their yearbook. These QR Codes linked to pictures and videos from various events in the school. A brainchild of teacher Lisa Connor, QR Codes in the yearbook make it more engaging and interactive. Also Read: MLK Jr. Magnet School Yearbook QR Code: No limit to sharing memories. In 2016, ed tech company, Clever developed Clever Badges. 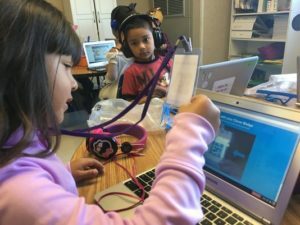 Clever Badges are QR Code tags that allow children in school to log into their system without any trouble. These QR Codes currently help more than 5,000 children and allow access to over 200 educational apps. Professor Al Trujillo of Palomar College, California uses QR Codes in lessons. The QR Code in the books link to videos and pictures related to the topic at hand. “There is a QR code in the text that links to a video showing how oceanographic equipment that got stuck on the seafloor in an active lava flow was later retrieved. So now, instead of students just reading the story and seeing a static picture, they get to view a video and hear me describe the recovery of the equipment”—Professor Al Trujillo, Palomar College. Also Read: How Universities and Colleges Use QR Codes to Engage Students. Approximately 80% Americans own a debit card. With card payments, online security is a concern. Theft of credit/debit card information is commonplace. To address this challenge, banks now allow cardless transactions via QR Codes, which is convenient and secure. One of America’s leading retail stores, Target is set to launch its own payment app in late 2017. Using the app, users can make payments at Target stores via QR Codes. In 2015, Walmart launched a mobile payment app, Walmart Pay. 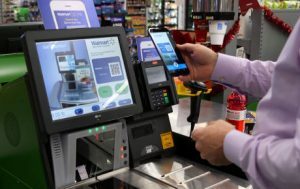 Users will need to log in to their Walmart Pay app and scan the QR Code shared by the cashier to make a payment. After making the payment, the user will receive an e-receipt on their mobile phone. In 2012, Bank of America, in partnership with Paydiant, launched QR Code payments. The retailer produces a receipt with a QR Code. The customer will need to scan the QR Code to complete the transaction. In the United States, PayPal, one of the leading e-wallets across the globe adopted QR Code payments in 2014. To make a payment, the user has to generate a QR Code on the PayPal app on their smartphone. The retailer can scan the QR Code to receive the payment. Also Read Paypal QR Code: Accept payments from print promotions. People these days prefer staying indoors with their gadgets rather than taking a stroll in a park. City administrations are adding QR Codes to parks to get the millennials outdoors. 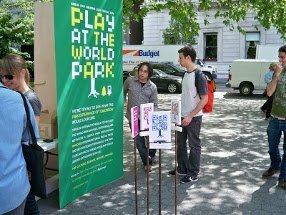 Adding QR Code to parks makes them more engaging and interactive. In Springfield, Ohio, Vietnam war veteran, Randy Ark is set to add QR Codes to the city’s memorial park. Randy has collaborated with Dodds Monuments of Springfield to execute this initiative. The QR Codes will allow visitors to learn more about what the monument memorializes. Visitors will also get a chance to know more about the fallen heroes and veterans. “I control all of the codes from my computer. Also, I added pictures of all the people in the Purple Heart chapter and added pictures people gave me, and notes to scan, anything. I even put info for veterans to connect to other veterans.” – Randy Ark. In 2010, The World Park organized a tour of the Central Park in New York. QR Codes were put up at different locations across Central Park. Scanning the QR Code allowed visitors to read lesser-known facts about the famous park. Games by themselves are quite interactive. To make games even more interactive, companies added QR Codes. Bandai Namco Games America is set to launch it’s latest game, Digimon World: Next Order, in late Jan 2017. The gaming company has also announced a QR Code campaign. Players can earn prizes by gathering QR Codes. The company is yet to reveal more details. In Jan 2017, Nintendo added QR Codes to their My Nintendo page. The QR Codes, when scanned at the company’s events could earn players extra benefits. Read more here: Nintendo QR Codes allow players faster check-ins to My Nintendo website. Launched in July 2016, Pokemon Go took the world by storm. Its latest addition is Sun and Moon QR Codes. The game has added a QR Code scanner. Players can scan their QR Codes and get to the location to find a Pokemon. Besides helping the player locate a Pokemon, the QR Code also helps the player categorize them. 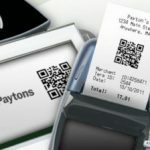 As the above examples state, QR Codes are getting a push by global giants like Facebook, Twitter, and Amazon. Not only are QR Codes versatile, they are the only media that connect users from print media to online content. So, if you are a print marketer who is planning to run a campaign in the United States, use QR Codes to better engage your target audience.